Home > Books > Christmas Is Here, Corduroy! 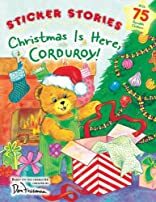 Corduroy and his friends are excited for Christmas! It's too bad that Dolly won't be there to spend it with them. But the friends still have fun enjoying the season together. And when Christmas finally comes, Corduroy has a big surprise in store for his friends . . .